A president who has been in office for more than three decades, one who is already past the age of 80, who has supervised a cumulative decline in human development indicators, who has strong control over his military and is not reluctant to consolidate power through murder, and who has tampered with his nation’s constitution to maintain a stranglehold of power, hoping, very clearly, to die while in office. Where have we heard about that before? Well, it ended with Robert Mugabe being disgraced out of office by his own allies who had watched him decimate the country piece by piece, his own party men possessed with a sudden epiphany, and a citizen ripened and ready for their country to finally begin to move forward. Everything that existed in Zimbabwe only last year exists in Cameroon today. Except for the denouement of disgrace, as a people take their destiny in their own hands and then forge a path, however imperfect, into a future that they certainly deserve. I was in Cameroon for much of May. I spent a long time speaking to citizens across the country, and I hear the same sounds of despair that I heard from Zimbabweans before Mugabe’s long-overdue disgrace. “He can never leave,” they said to me. “Change is impossible in this country,” they insisted. “This president is a monster,” they reminded me. “Nothing is going to happen in the elections,” they repeated. “You don’t know our country,” they said, almost pitying me with my unreasonable hope. And of course, I understand. 36 years of the most inhuman oppression by a man only surpassed by Equatorial Guinea’s Teodoro Obiang Nguema Mbasogo f0r longest rule uninterrupted in Africa can make change seem impossible. But it is always impossible until it is done. It was impossible for Gambia, until the opposition stood firm, the chairman of the electoral commission risked his life to speak through and ECOWAS forces began to find their way to the shores of the capital; Yahya Jammeh finally getting the message and letting his country alone. It was impossible in Sierra Leone, until the opposition party this year mounted a vigorous challenge, and secured a historic election victory in a country that has been slow moving since it ended its debilitating war. It was impossible until the outraged poured into the streets of Abidjan in 2011, desperately tired of being taken for a ride and dislodged Laurent Gbagbo, who had sadly forgotten that it was a wave of popular anger that had brought him into office 11 years earlier. As the Guardian presciently noted in a story in 2011 of Ivory Coast, “their progress stands in contrast to the rebellion in Libya, and all without western military intervention. But then the Ivorian uprising came from a very different foundation.” When citizens this side of the Sahara decide to make a go for change, it often happens, and it often happens in the blink of an eye. No one thought it was possible less than a year ago in Zimbabwe, and very few in Cameroon think it is possible today. But if there is anything my experience working in and writing about elections in Africa have shown me, it is this: Sit tight leaders are human, and as long as they are human, other humans can take them down. Sit tight leaders are also cowards, and when they face a citizenry that is neither afraid of death nor harm, they unravel quicker than Jacob Zuma in the face of oncoming disgrace. 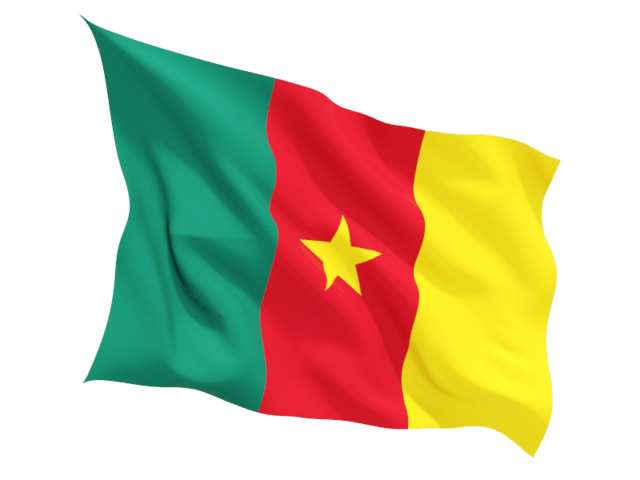 Already Cameroon has heroes to rally change, including Agbor Nkongho, who has led effective protest marches and was arrested for eight months, released and the promptly resumed his activism. Joshua Osih, the main opposition candidate with his party the Social Democratic Front has been firm and fearless. And while it is impossible to credibly support the violence by the separatist movements, it has become the only effective channel for confronting the tyranny of President Paul Biya. There is just enough chaos in Cameroon these days — with the government’s against its English-speaking citizens — to add extensive uncertainty to these coming elections in the way the nation has never seen since it won independence in 1960. The continent has seen miracles happen before in the midst of chaos like that. If Biya is going to ever loosen his grip on that beautiful nation, then its citizens will have to find a way to believe that a miracle is possible for them too, and then do their bit to make that miracle a reality. October 7 presents itself as a perfect opportunity.